An NMSR SPECIAL REPORT - CREATED KINDS? our January 2000 issue of NMSR Reports, we gave the "Put Up Or Shut Up" Award for 1999 to Jonathan Sarfati of the Kentucky-based ministry Answers in Genesis. While affiliated with Answers in Genesis (AIG), Sarfati lives in Australia, where there's an AIG oasis. Sarfati wrote a 1999 book entitled Refuting Evolution, and billed it as a response to the National Academy of Sciences' book Teaching About Evolution and the Nature of Science. Sarfati's book was heavily promoted by AIG; see, for example, their quarter-page ad in USA Today on August 27th, 1999 (NMSR Reports, Sept. '99). Sarfati makes the standard creationist pitch of equating evolution we can observe with "microevolution" or "variation within a kind," and argues that "macroevolution," evolution of new "kinds," has never been observed. Sarfati says the actual Creationist model lies between the "tree-of-life" branching of species used in evolution and what he calls a straw-man "lawn" of separate species, with several blades of grass appearing simultaneously (one "blade" per species or "kind.") Sarfati envisions an "orchard" in which a small number of trees represent the original created kinds. There is variation within each "kind" (so each tree in the orchard looks like the branching of evolution), but no commonality between separate trees ("kinds"). The three models ( tree, lawn, and orchard) appear in Figures 1 - 3 below, which are quite similar to what Sarfati presents in his book. The reason Sarfati was given the "Put Up or Shut Up" Award was that he described, in his figure 3 of the "True Creationist Orchard," a model that creationists have never, ever defined. No creationist has ever had the guts to define what the "baramin" (kinds) actually are, and for good reason. The definition of "kinds" must be forever elusive - a perpetual "moving goalpost" - because that is what serves the creationist cause. To reveal the names of the "kinds" would jeopardize all forms of creationism, from young-earth Biblical literalists to supposedly non-religious "intelligent design." Why are creationists reluctant to describe even the simplest details of their true concepts of the diversity of life? Because there is no single creationist model of life. Creationists don't have to actually explain biology, after all - their real goal is simply to stifle education about evolution. Creation "scientists" don't scientifically study creation; they study better ways to bash evolution, which they perceive as a threat to their religious views. Fig. 1. "The Evolutionary 'Tree' "
This is what those rascally evolution scientists think happens in the origin of species. Fig. 2. "The Alleged Creationist 'Lawn' "
This has no variation within a "kind" - once a species appears, it doesn't change. All species appeared at the same time, 6,000 years ago. Sarfati says this is a strawman model evolutionists use to unfairly attack creationism. Fig. 3. "The True Creationist 'Orchard' "
Sarfati presents this as the "true" creationist model, showing variation within kinds, but no evolution of new kinds. The creationist model for life's diversity is as fluid as the shifting sands of the Sahara. It evolves to suit the circumstances, and adapts as required. Consider what Intelligent Design proponent Jonathan Wells of Seattle's Discovery Institute said in the Detroit News on March 14, 1999: "...according to the fossil record all the major types of animals appeared abruptly about 530 million years ago, in a geological period known as the Cambrian. There is no fossil evidence that they ever shared a common ancestor. This 'Cambrian explosion' of living things contradicts the branching-tree pattern predicted by Darwin's theory." I discussed this view in the April 1999 NMSR Reports, noting "But his 'types' of animals don't include amphibians, reptiles, birds, and mammals, which all came into being hundreds of millions of years after the Cambrian explosion with extant fossil records showing common descent." Wells responded in the June 1999 NMSR Reports, "Regarding the Cambrian explosion: It's true that in my Melvindale op-ed piece I wrote that 'all the major types of animals' arose in the Cambrian, by which I meant the major animal phyla. There is no substantial controversy over this among paleontologists. I used 'major types' instead of 'phyla' because of the audience I was addressing, but this usage is not unique among science writers. As you correctly point out, the various classes of vertebrates arose later; but the chordate phylum is represented in the Cambrian fauna." So here is Intelligent Designist Jonathan Wells at one end of the "kinds" spectrum: equating "kinds" with phyla (there are about 40 metazoan phyla) permits creationists to argue that the Cambrian explosion is evidence against evolution, since many of those phyla appeared "abruptly," within a "few" tens of millions of years. And at the other end of the spectrum is Jonathan Sarfati, who essentially argues that "kinds" are reproductively isolated populations - close to what biologists refer to as "species." Is there a definitive list of the baramin (kinds) shown in Fig. 3, of the True Creationist Orchard? How many trees are in the orchard? I.e., how many kinds are there, and what are they called? If there's any place on the web or the library with such a list, I'd be most grateful for that information. Thanks very much for any help you may be able to provide. On Feb. 20th, Sarfati's reply appeared. He wrote "Tell you what: first you provide a list of all the true 'biological species' in the world as defined by reproductive isolation. Please provide a statistical analysis about how many 'biological species' correspond to a taxonomic single so-called 'species', and how many so-called 'genera' and even 'families' are really a single polytypic 'biological species'. "Let's try this again, shall we? Since you're a fan of chess, perhaps some chess terminology would be appropriate. 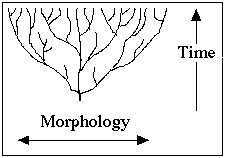 (1) The Evolutionary 'Tree' - Fig. 1, p. 38. (2) The Alleged Creationist 'Lawn' - Fig. 2, p. 38. (3) The True Creationist 'Orchard' - Fig. 3, p. 39. Let's agree that Fig. 2, the alleged 'Lawn', represents neither mainstream science nor your version of creationism, and move on. So the real issue is the mainstream 'tree' (Fig. 1) versus your creationist 'orchard' (Fig. 3). THOMAS MAKES HIS OPENING MOVE. I point out that mainstream scientists do indeed think that a tree such as Fig. 1 is the best model of origins. Further, I POINT OUT WHERE SOME DESCRIPTIONS OF PARTS OF THIS TREE MAY BE FOUND. Many, many more are available. Furthermore, many science sites are available with information on species definitions, numbers, and etc.... Now, I have put your king in check by noting that MANY DESCRIPTIONS BY MAINSTREAM SCIENTISTS OF PARTS OF FIG. 1 - THE EVOLUTIONARY TREE - ARE AVAILABLE, and by challenging YOU to provide comparable DESCRIPTIONS BY CREATION SCIENTISTS OF FIG. 3 - THE CREATIONIST ORCHARD. OK, it's your move now." On Feb. 23rd, Sarfati wrote "If they [scientists] can't agree on the branches, and certainly not on the trunk and roots, then they haven't got a tree. The 'tree' is a deduction from materialistic philosophy. ... it's hypocritical of you to demand that I list every single tree in the orchard if you can't list every single branch of your hypothetical single tree. But creationists have provided empirical criteria that should help determine whether organisms are members of the same created kind. I outline the criteria in an article on mammoths in the March 2000 Creation magazine. [Online here.] But they are hardly original with me -- I cite the hybridization criteria of Drs Frank Marsh and Siegfried Scherer, both recognised biologists with publications in 'mainstream' literature. ..."
On. Feb. 24th, I replied "You're really missing the point here. Of course, not all scientists agree on all branchings of the Tree of Life. It's actually quite rare for thousands and thousands of aggressive researchers to agree on the detailed linkages of over a million species (and that's just the living ones...). The POINT you're missing is that scientists DO publish their descriptions of the tree of Life for others to critique. The two websites I sent you contained relationships among 21,754 taxa (9,657 from the Arizona site, and 12,097 on TreeBASE). You're quibbling that not all published versions of the tree are in agreement, when the POINT is that THERE ***ARE*** PUBLISHED VERSIONS OF THE EVOLUTIONARY TREE OF LIFE. My question to you from the start has been simply "WHERE ARE THE PUBLISHED VERSIONS OF THE CREATIONIST ORCHARD?" Further, by focusing on areas of disagreement, you conveniently gloss over areas of substantial agreement. For example, all the trees I looked at in these web sites, and in several evolution texts, place echinodermata as more closely related to chordata (which includes 'vertebrates') than other groups such as annelida ('worms')." On Feb. 25th, Sarfati wrote "Creationists have also published hybridisation studies on things like the bird family Anitidae, showing that the kind in this case probably the family. And it would be interesting to study more about the wolphin at http://www.hotspots.hawaii.com/Wolphin.html , a fertile trans-generic hybrid between a bottlenose dolphin (Tursiops truncatus), and a false killer whale (Pseudorca crassidens). Evidently these two things are really a polytypic biological species not separate genera, and certainly in the same kind." And that's all I ever got from Sarfati on the list of the "kinds" : mammoths, a family of birds, and a group of whales/dolphins. It's obvious that if Sarfati's "kinds" are defined by reproductive isolation, there will be so many "kinds" that Sarfati's "orchard" will look much more like his Figure 2 (the "creationist lawn") than his Figure 3 of the "orchard" itself. It's also obvious that Sarfati's "orchard" appears as it does because the chart starts with "creation" a few thousand years ago. If the time of "creation" is pushed back, the "Orchard" will clearly look more and more like the tree of life; indeed, I made Figure 3. simply by clipping of the top of my Fig. 1, the evolutionary tree itself. Our discussion covered many topics, but Sarfati's replies invariably used polemics rather than scientific substance. An example: at one point Sarfati declared "If evolutionists really had the evidence, they wouldn't need to rule out alternative explanations by decree, and invoke legal bully-boys like the ACLU who scream blue murder if their pet theory is challenged..." I asked him to name the Australian chapter of the ACLU, but this request was ignored. I also mentioned John Stear's NO Answers in Genesis! Australian web site, which describes how creationists bullied scientists trying to ask questions about the "Noah's Ark" court case there. Sarfati countered this by referring me to an article he wrote for the True Origins website, billed as a response to Stear's website. But Sarfati's article completely ignored the copious amounts of cold, hard data at Stear's site, and instead simply pointed out that Stear had elsewhere supported humanism. In other words, Stear has no religion, and thus is wrong. Sarfati's piece is nothing than a collection of ad hominem attacks on Australian scientists for their positions on religion; "science" has absolutely nothing to do with it. Incredibly, Sarfati's article doesn't even link to Stear's site, the subject of the piece. Creationists have no "theory." Whatever they have, it's time to stick a fork in it. It's done.